In 2013, Tatuaje Cigars would once again make available an exclusive cigar for sale in Tobacconist Association of America (TAA) retailers. 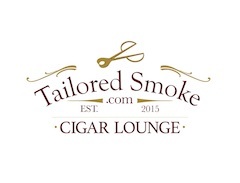 This would mark the third consecutive year there would be a Tatuaje cigar would be available for the TAA. However the 2013 version would have a different twist. 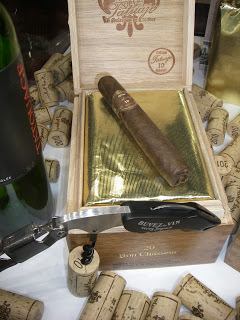 Both the Tatuaje TAA 2011 and 2012 editions were a box-press Connecticut Broadleaf wrapped cigar. 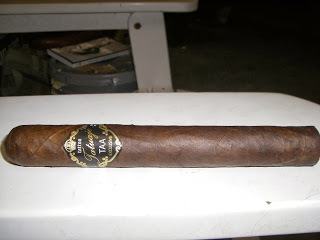 For 2013, Johnson decided to change things up and tie the Tatuaje TAA 2013 release in with what he is doing with the Tatuaje 10th Anniversary cigars. This has resulted in this year’s TAA release being known as the Tatuaje 10th Anniversary Grand Chasseur TAA 2013. 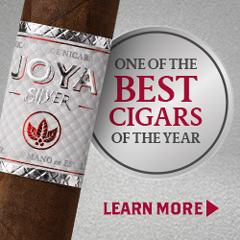 Overall, I found this to be an excellent cigar – and it might represent the best work Johnson has done around the 10th Anniversary celebration. As part of the project to commemorate his company’s 10th anniversary, Johnson went back to the blend that started it all – the Seleccion de Cazador which is commonly referred to as the Brown Label blend. To start things off with the 10th anniversary celebration, Tatuaje decided to re-release the original six sizes (Havana Cazadores, Unicos, Noellas, Tainos, Especiales, and Regios) with commemorative 10th Anniversary banding, varnished boxes, and gold foil packaging. While there are these new packaging options, the blend is staying the same. After this year, the plan is for these Brown Label blends to be available with their regular labeling and packaging. There is a second component to the 10th Anniversary celebration. Tatuaje has added three new vitolas based on the Brown Label blend that will also feature the 10th Anniversary banding and packaging. The first is a perfecto known as the “Belle Encre” while the second is a closed foot parejo toro known as “Bon Chasseur”. 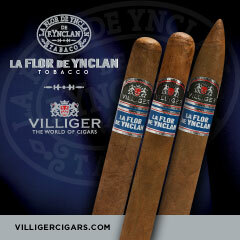 As for the third vitola, this is the one being made available to the TAA for 2013. This one will be a slightly larger version of the Bon Chasseur and this one is being given the name “Grand Chasseur”. Without further ado, let’s take a closer look at the Tatuaje 10th Anniversary Grand Chasseur TAA 2013 and see what this cigar brings to the table. 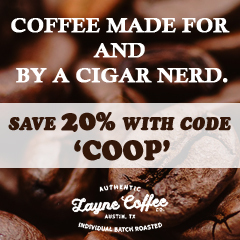 Originally the Tatuaje Brown Label blend was a Nicaraguan puro featuring a corojo wrapper. 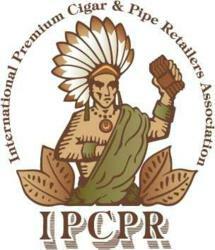 A few years ago, Johnson changed the wrapper to an Ecuadorian Habano wrapper. 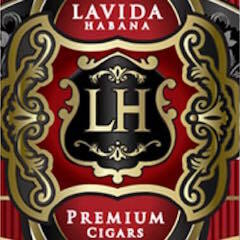 The 10th Anniversary releases around Brown Label continue to use the Ecuadorian Habano wrapper. The following are the six original sizes of the Brown Label being made available with the commemorative 10th anniversary banding and packaging. The following are two additional sizes that are pretty much regularly available. These sizes are not available in the 10th anniversary banding and packaging. 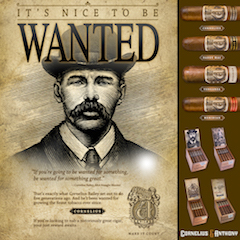 If you look at the first letter of each of the original six vitolas of the Brown Label it forms the word “HUNTER” – which was the name of Johnson’s dog. This plays into the naming of the Bon Chassuer and Grand Chasseur. The name Bon Chasseur means “Good Hunter” while the name Grand Chasseur means “Great Hunter”. One thing I noticed is that Ecuadorian Habano wrapper of the Tatuaje 10th Anniversary Grand Chasseur TAA 2013 seemed a shade darker than most of the other Brown Label wrappers. Color variations are common among cigar wrappers, so I don’t get too worked up on a variance. 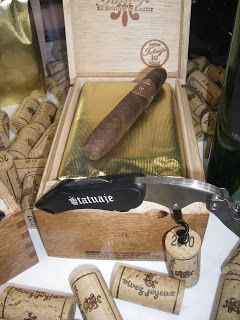 In the case of the Tatuaje 10th Anniversary Grand Chasseur TAA 2013, the wrapper had almost a chocolate bar color. It had an oily complexion on the surface. There are some visible veins and visible wrapper seams. Like its Bon Chasseur sibling, the Grand Chasseur has a covered foot and features a Cuban style cap. The band of the Grand Chasseur is a special variation of the special 10th anniversary banding that makes note that this cigar is an exclusive edition for the TAA. The text “Tatuaje” is on the front of the band in gold cursive font on a black background. Above the gold script is the text “tattoo” (for what Tatuaje is Spanish for) in white font. Below the gold script is the text “TAA” in white font – and below that text is “EXCLUSIVE” in a smaller white font. On the near left and near right of the front of the band is the text “Seleccion de Cazador” in white font. Toward the rear of the band is a small gold medallion. The band is also trimmed in gold. For my smoking experience of the Tatuaje 10th Anniversary Grand Chasseur TAA 2013 I went with my usual selection of a straight cut to remove the cap. I then proceeded to begin with the pre-light draw. The dry draw notes yielded a nice mix of chocolate, leather, mild pepper spice, and mild sugar cane sweetness. A closed foot can sometimes mute a dry draw, but no such problem here. With the pre-light draw ritual completed, it was now time to light up my Grand Chasseur and see what the overall smoking experience would deliver. The Tatuaje 10th Anniversary Grand Chasseur TAA 2013 started with a classic Garcia family black pepper blast. When the pepper subsided, it still remained int he forefront and was joined by notes of earth and natural tobacco sweetness. There was also a dark chocolate flavor in the background that complemented the other flavors very nicely. A few times that chocolate did briefly surface in the forefront of the flavor profile. The pepper was also prominent on the retro-hale – and would remain this way from start to finish. Later in the first third of the Grand Chasseur, the earth notes remained in the forefront with the natural tobacco. 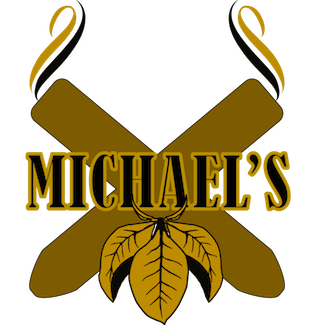 The natural tobacco sweetness exhibited a cherry-like flavor from time to time. The pepper had somewhat diminished and was playing more of a key role on the after-draw as well as the retro-hale. Meanwhile the chocolate notes were still in the background. In the second third, the pepper notes started to pick up once again. 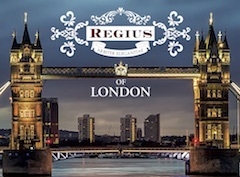 The natural tobacco / cherry sweetness had dissipated and any residual sweetness came from the chocolate notes. By the late stages of the Grand Chassuer, the flavors were mostly earthy with some pepper. The pepper was not overwhelming and there was no harshness. The resulting nub was ideal – firm to the touch and cool in temperature. From a draw perspective, the Tatuaje 10th Anniversary Grand Chasseur TAA 2013 performed very well. The draw was not too loose and not too tight. This was the kind of cigar that was low maintenance puff on. One noticeable difference between the Grand Chasseur and the TAA 2011 and 2012 editions is that the Grand Chasseur is going to be dialed back in terms of strength. I assessed the Grand Chasseur to be a medium strength cigar. As for the depth of the flavors, they also start out medium-bodied and remain that way for the first third. By the start of the second third, the flavors progress to medium to full-bodied. While the flavors do increase in the second half, they still remain what I term medium to full. In terms of strength versus body, I gave an edge to the body with the Grand Chasseur. Prior to the release of the Tatuaje 10th Anniversary Grand Chasseur TAA 2013, I had smoked its smaller sibling the Bon Chasseur. 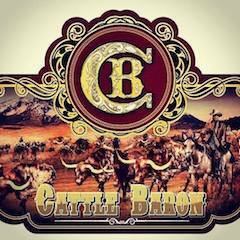 While the Bon Chasseur was a good cigar, it was not a cigar that wow’d me. Given the Grand Chasseur was a slightly larger version of the Bon Chasseur, I was concerned that I would have a similar experience. I could not have been more wrong. 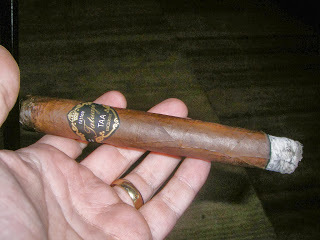 The fact that Johnson does tweak the blends to the sizes, that seemed to do the trick with this vitola. I definitely found the Grand Chasseur to be the best of the three new vitolas released for the 10th anniversary – and an excellent cigar from start to finish. This is also a cigar very worthy of being released to the TAA. The Tatuaje 10th Anniversary Grand Chasseur TAA 2013 is a cigar I’d recommend to either a novice or experienced cigar enthusiast. 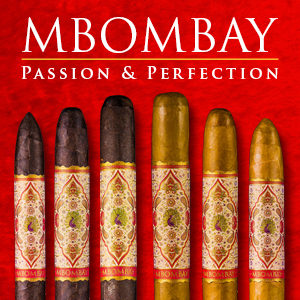 As for myself, this is not only a cigar I’d smoke again, but one that is certainly box worthy. 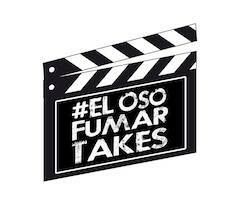 Source: The cigars for this assessment were gifted by a friend.